If you are looking for a quiet place to pray, to read our Bible lesson in the Bible and Science and Health With Key to the Scriptures, written by Mary Baker Eddy, this is the place to come. Here you are welcome to learn about spiritual healing. There is a comfortable study area where you may read from a selection of books and magazines as well as the international weekly newspaper, The Christian Science Monitor. Using the Internet and other print media, you can research The Holy Bible, Science and Health, and other Christian Science publications. 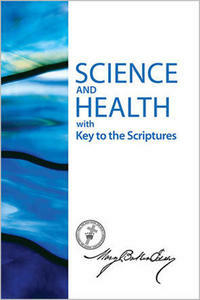 All of these resources, as well as a number of other audiovisual and print publications on Christian Science, are available at no charge. A librarian can assist your search and answer your questions. WIFI and a computer are available.